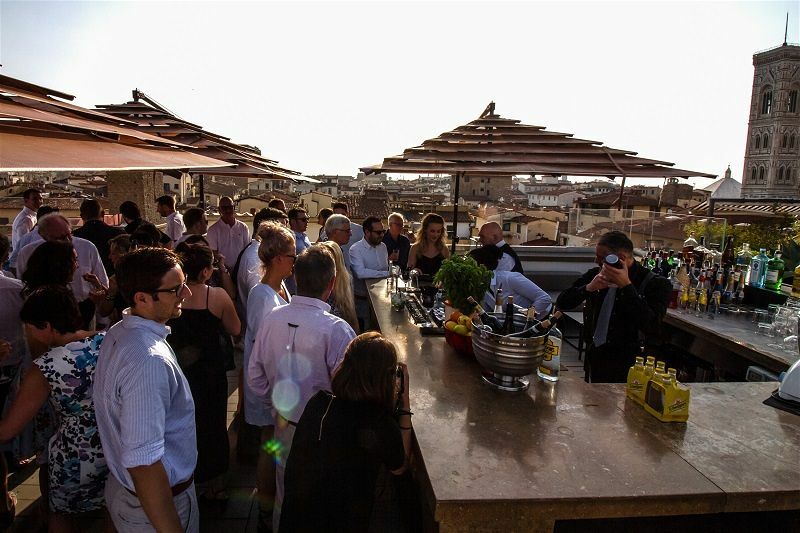 Hospitality is our passion since 1988 and we are at the service of our clients to satisfy all their needs. 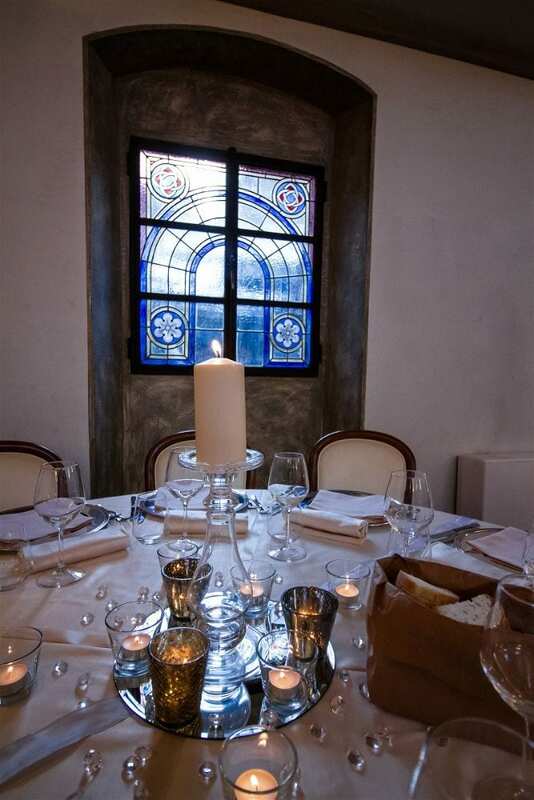 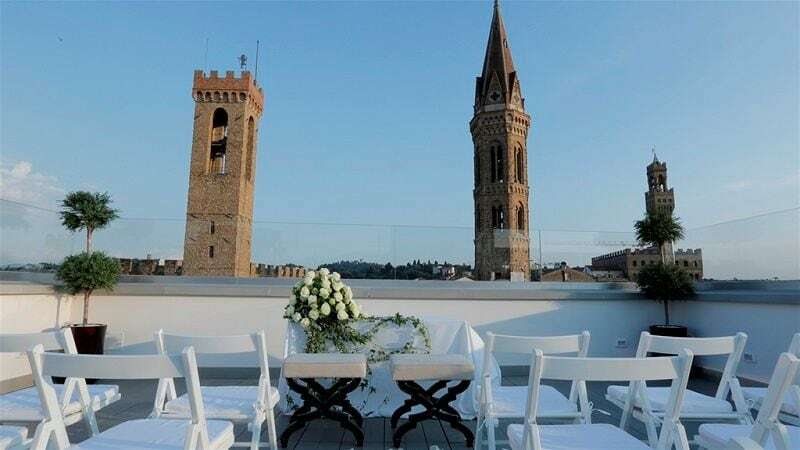 Grand Hotel Cavour is a family owned central boutique hotel located in Florence. 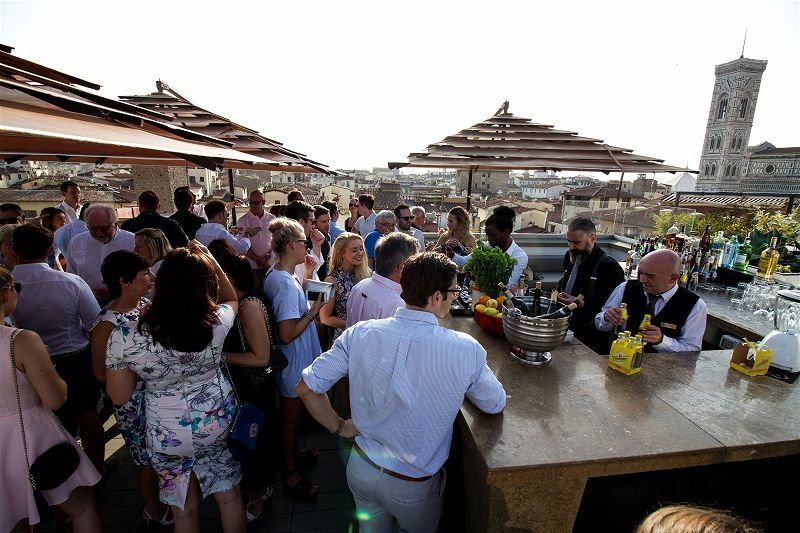 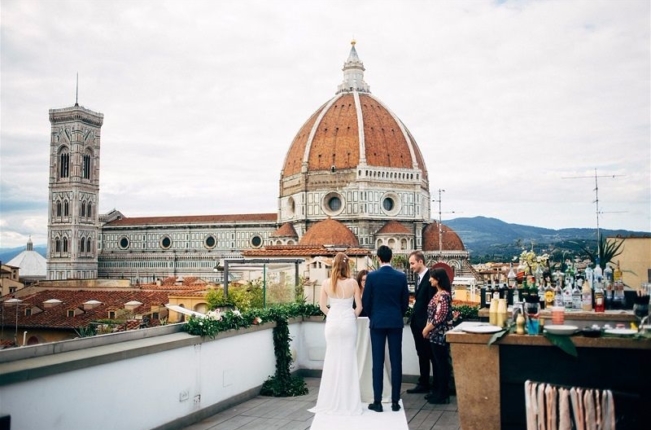 On the 6th floor you can organise the reception dinner in our Raffaello Room in connection with the Divina Terrazza and enjoy a breathtaking view from the rooftop, where you can setup the wedding ceremony and end your event with an open bar and DJ set. 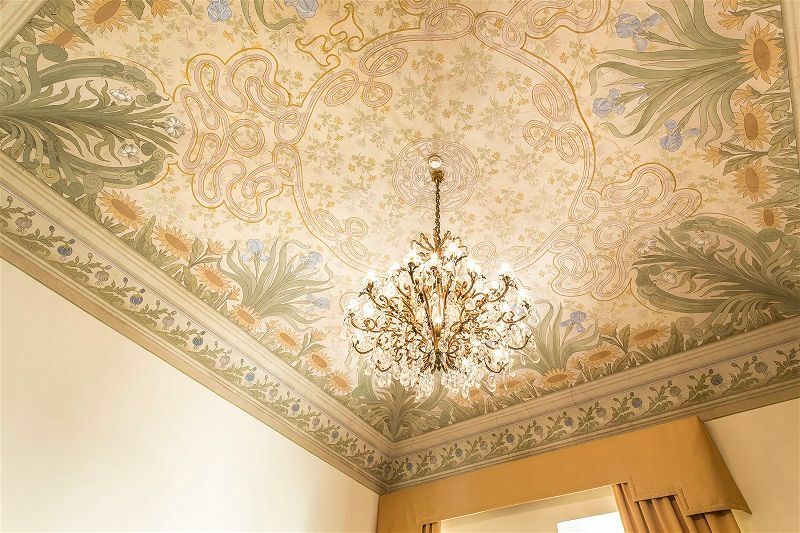 Alternately, on ground floor in connection with the lobby there is our Restaurant Room Entirely frescoed with a glamorous, cosmopolitan style. 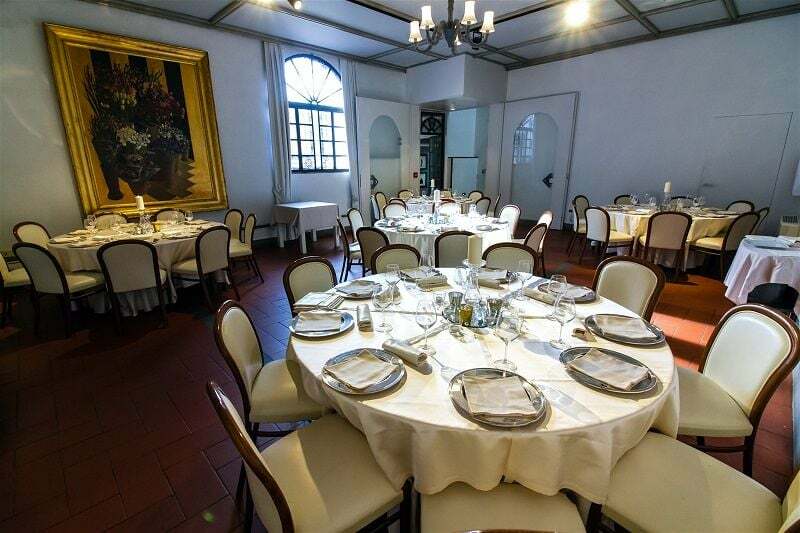 Since 1988 and during these past years we have made many investments to improve the services and the quality of the property. 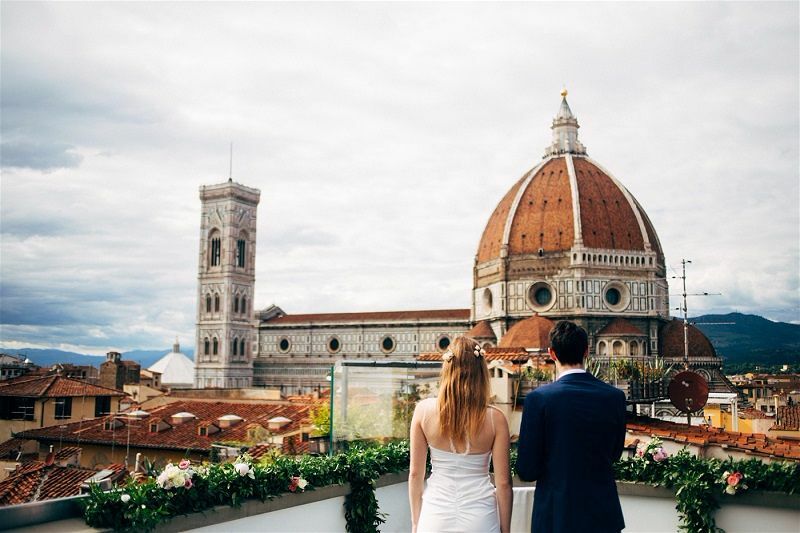 All the 100 bedrooms have boutique style furniture and you can chose between 4 different suites that will be the backdrop for your first wedding night. 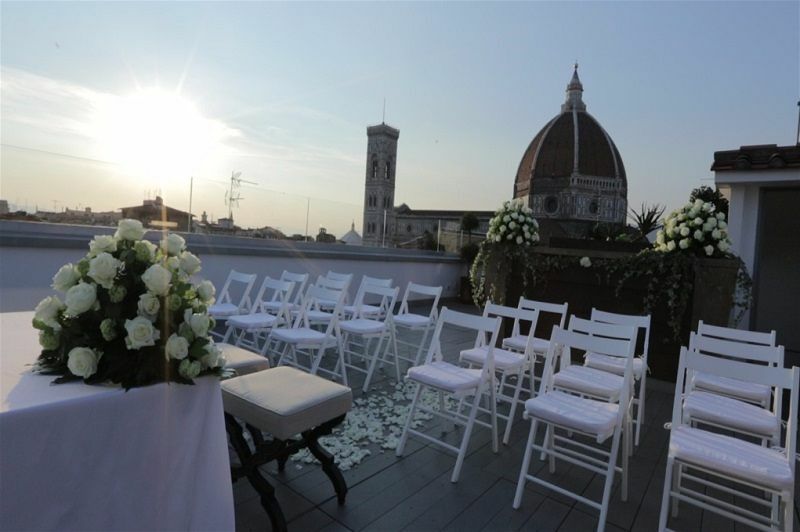 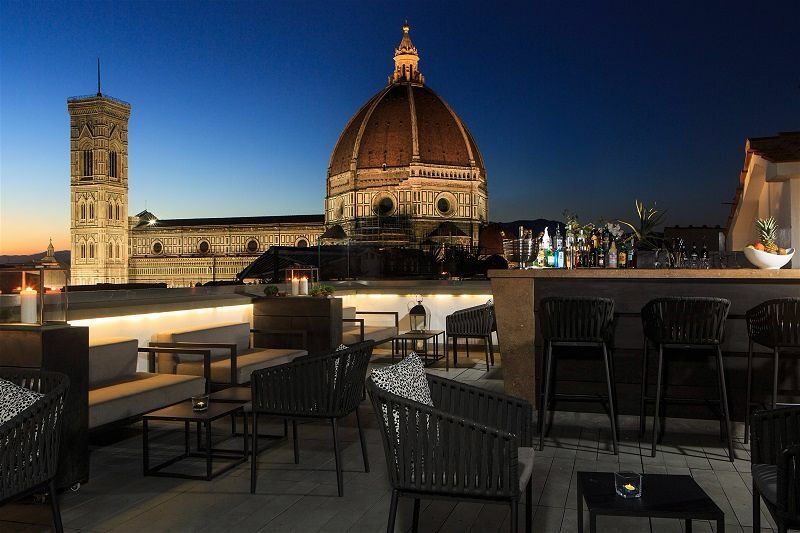 Our rooftop terrace “Divina Terrazza” has become one of the most glamorous location to marry in Florence. 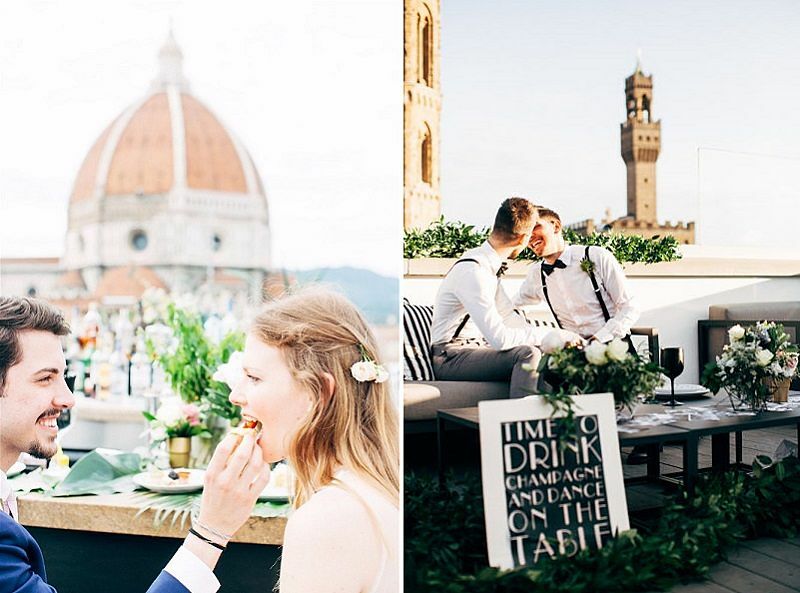 Don’t miss the opportunity to celebrate this special occasion in a place you will always remember! 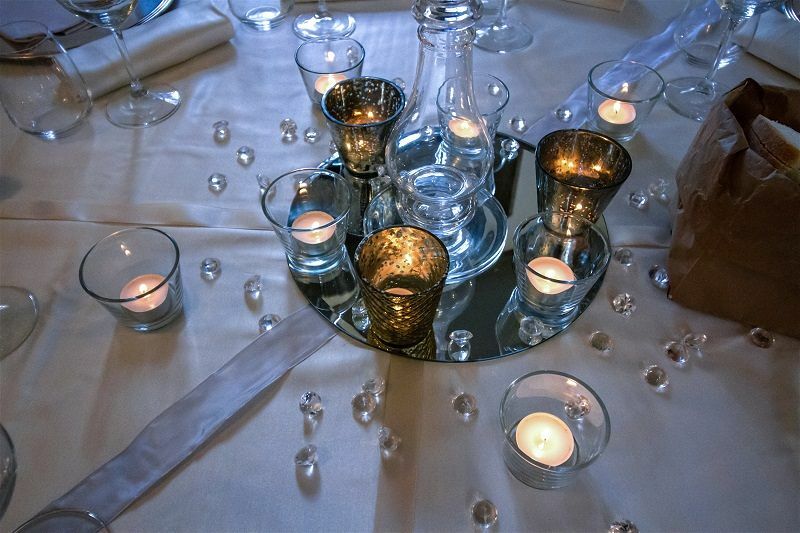 There are no special offers at the moment, but be sure to pop back and check for updates. 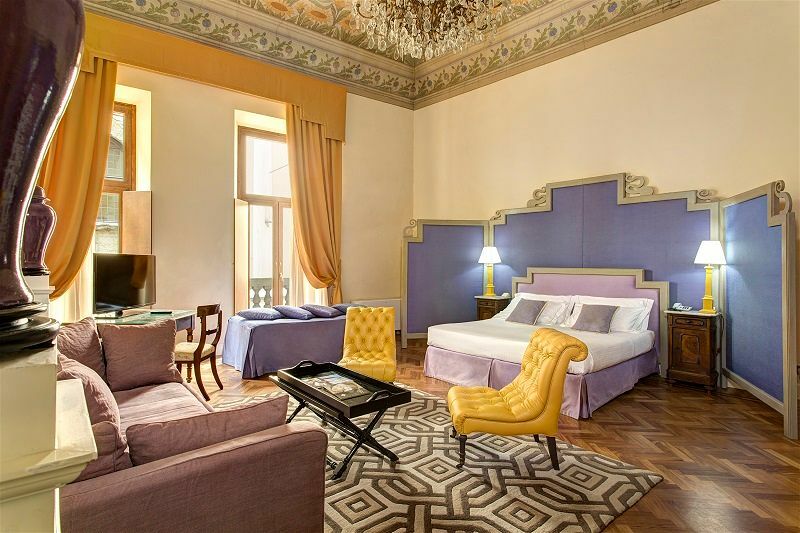 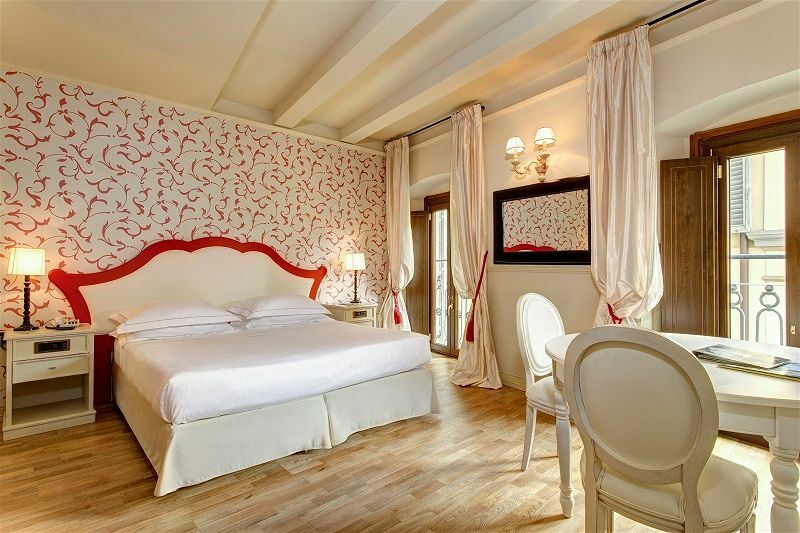 Grand Hotel Cavour is a family owned 4* boutique hotel located in the heart of Florence. 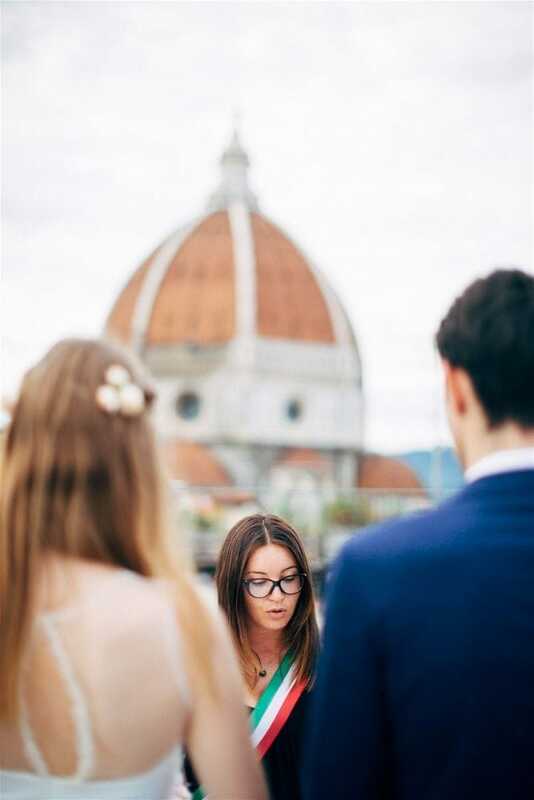 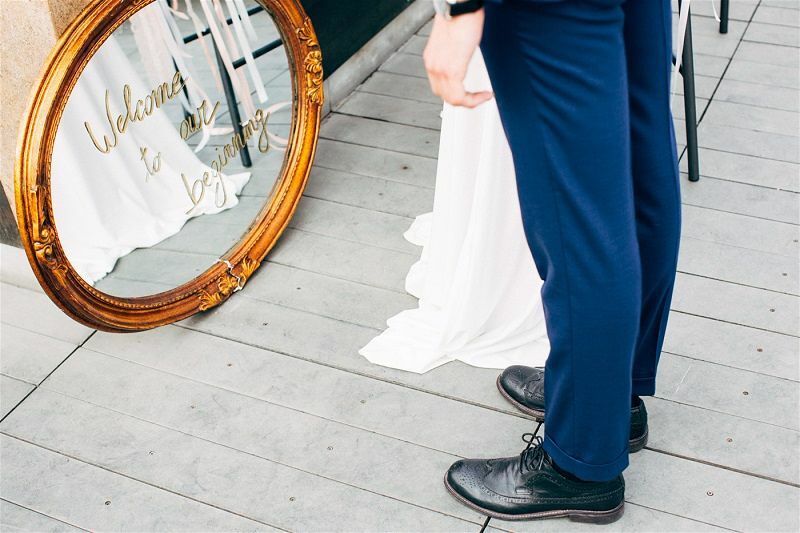 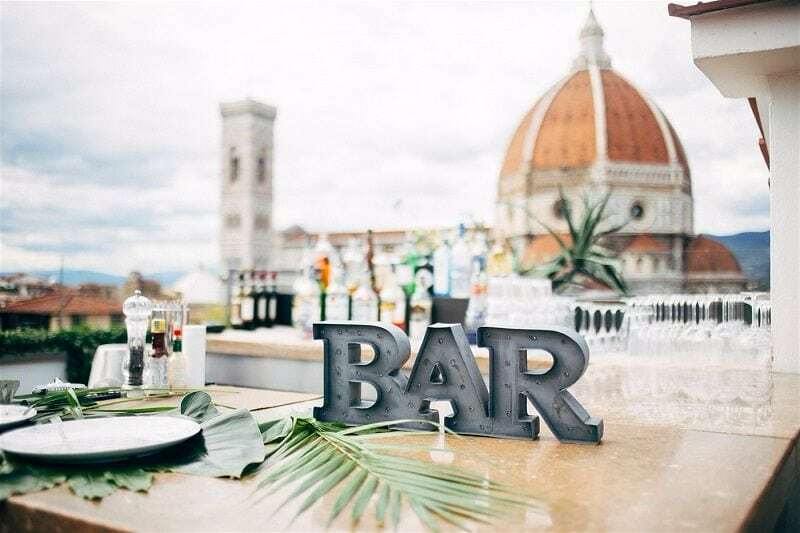 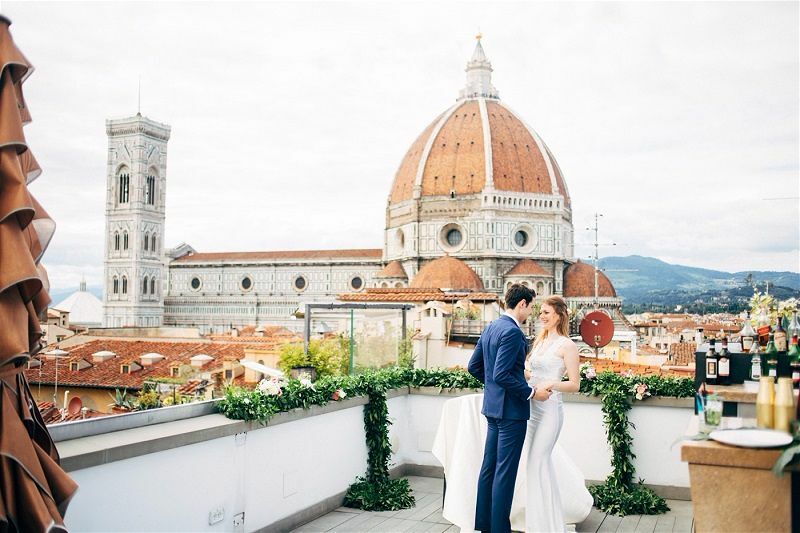 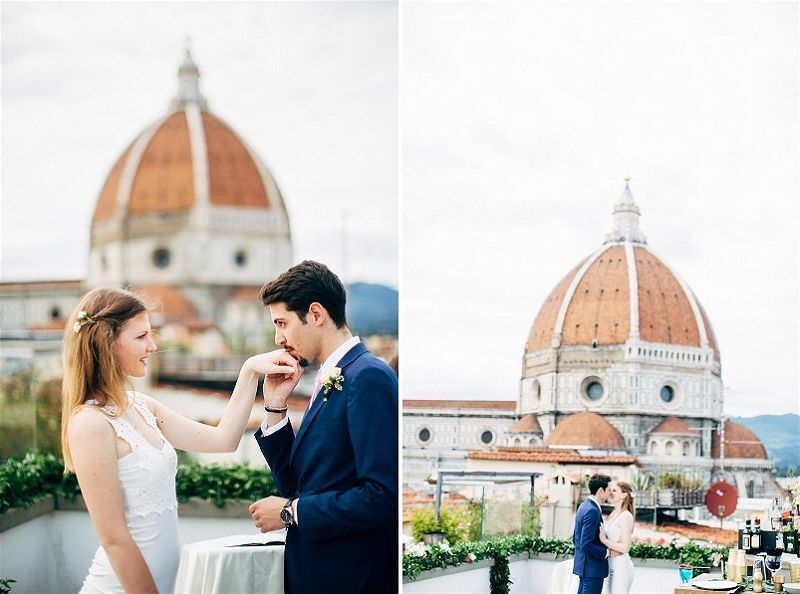 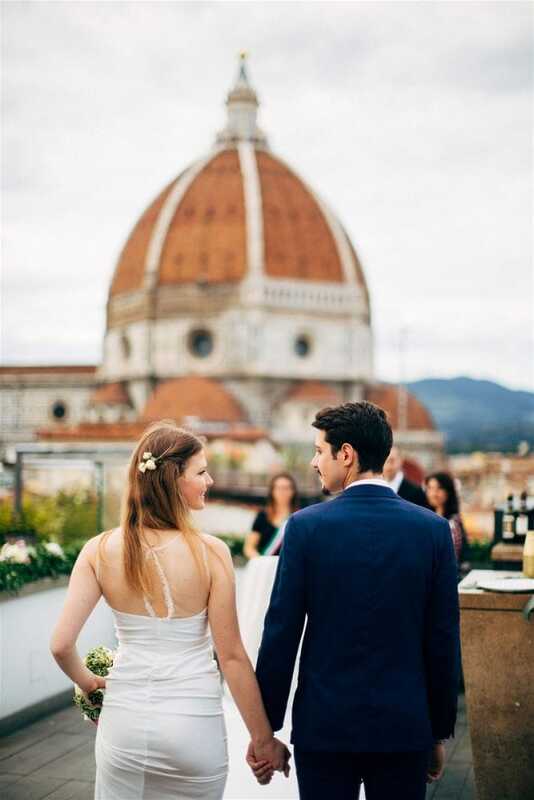 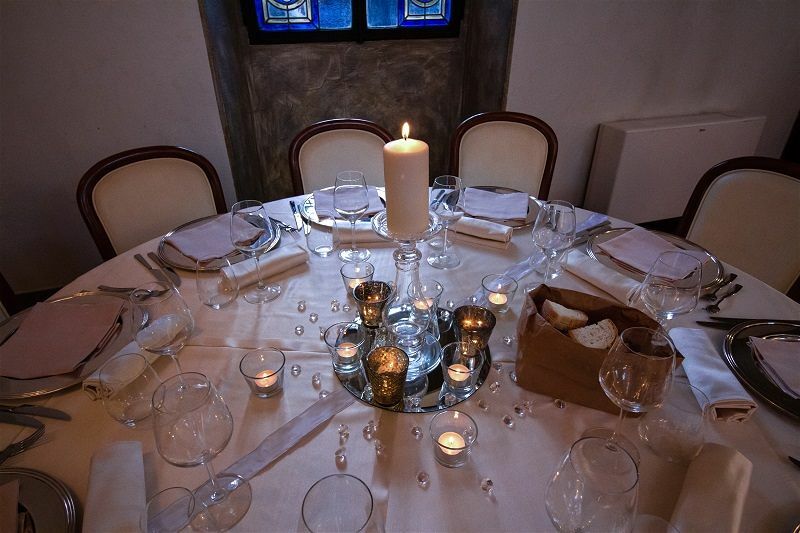 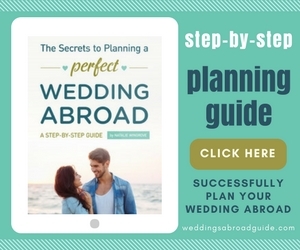 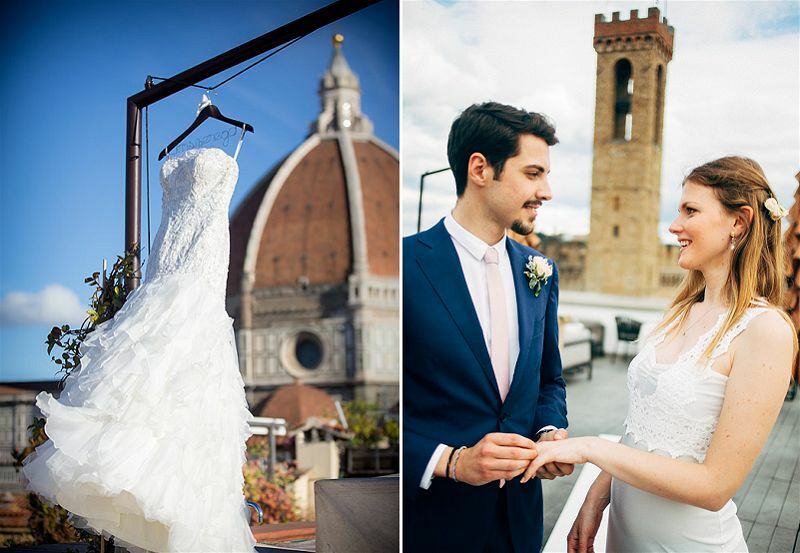 With a scenic rooftop bar overlooking Brunelleschi’s Dome, restaurant and 100 individual and elegant bedrooms, it makes a stunning venue for a city wedding in Italy. 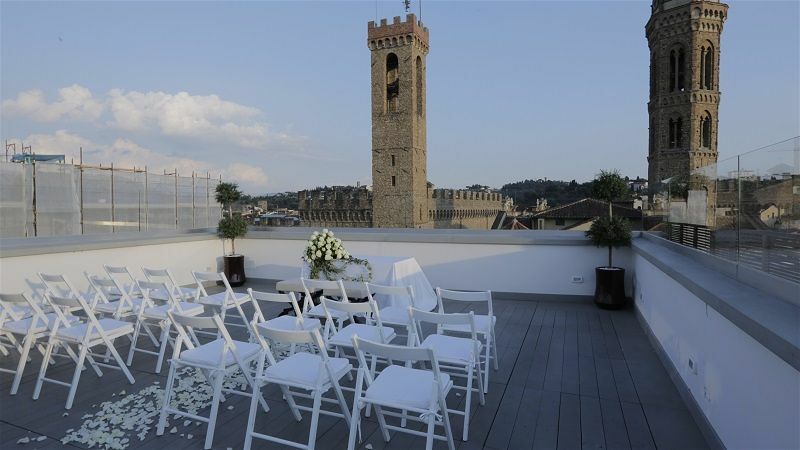 Grand Hotel Cavour is available for exclusive use and importantly licensed for civil weddings.